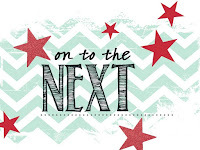 Just Julie B's Stampin' Space: Creation Station Hop - Artistic Expression! Creation Station Hop - Artistic Expression! Welcome to Just Julie B - and to our 'Artistic Expression' for the month of August! We focused on stamps and accessories from the Annual catalog in the section from pages 127 - 179 (Artistic Expression). 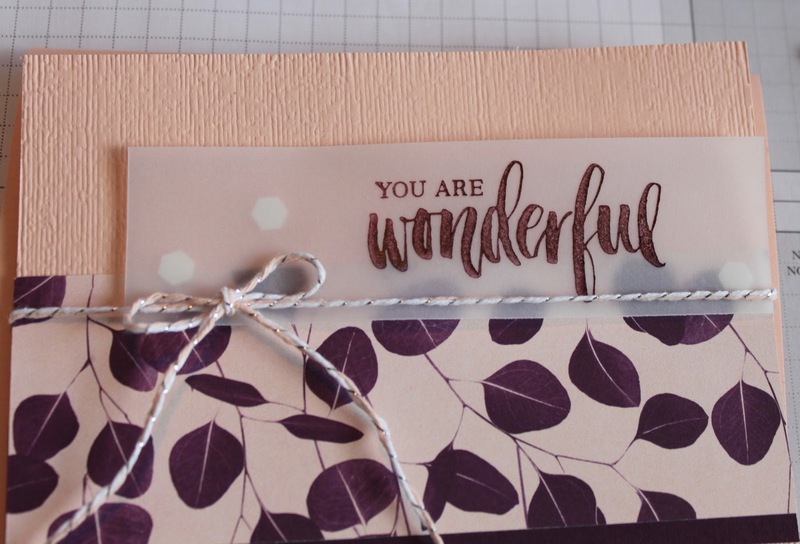 There are so many awesome things, and I decided to stamp and use products from the Rooted in Nature set, coordinating paper and framelits! 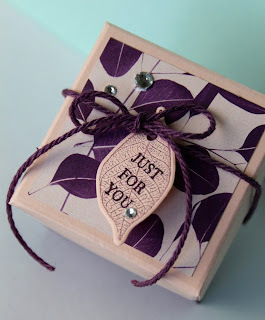 I made a card with a coordinating gift box. 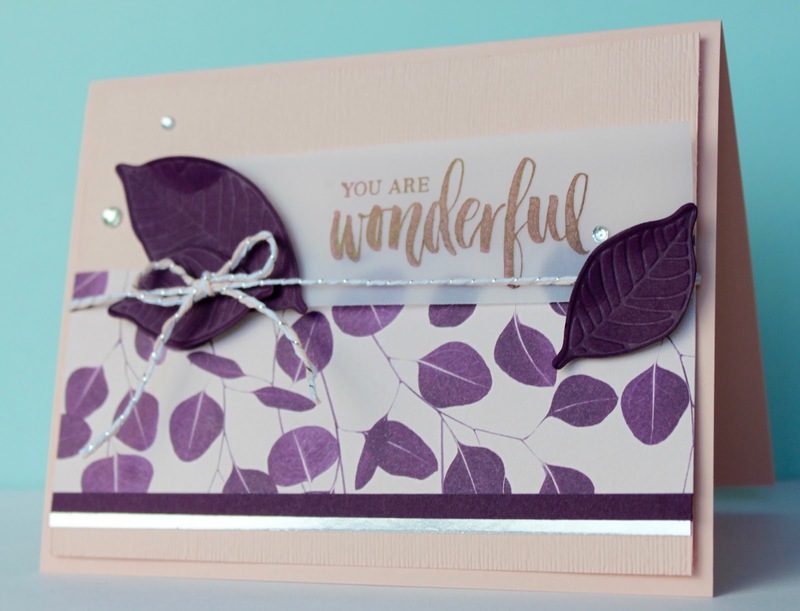 The card is a Petal Pink base, with a layer of Petal Pink embossed with the Subtle Textured Impressions Embossing Folder (easier to see in a later picture). On that layer I added a 1 3/4" strip of Nature's Poem DSP layered with Blackberry Bliss and Silver Foil. Love the Silver Foil - it adds a bit of bling!! 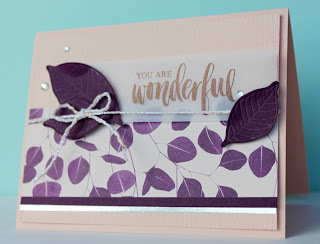 I die cut and embossed both of the leaves from Blackberry Bliss Cardstock and added them over a Blackberry Bliss stamped vellum piece (the Blackberry Classic Ink stamped on vellum takes on it's own lighter/brownish hue). But I LOVE the silver/bling coordination of the Silver Foil, Petal Pink & Silver Baker's Twine and the Clear Rhinestone Basic Jewels. - Just that little bit of extra sparkle/bling it needed! 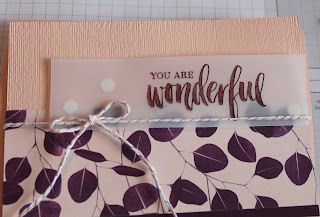 And here's a little tip for adhering the stamped vellum piece - use Mini Stampin' Dimensionals, or whatever adhesive you need - but under where you will have a layer (I put the Blackberry Bliss leaves on top of those areas)!! And here's a sweet and simple lidded box. 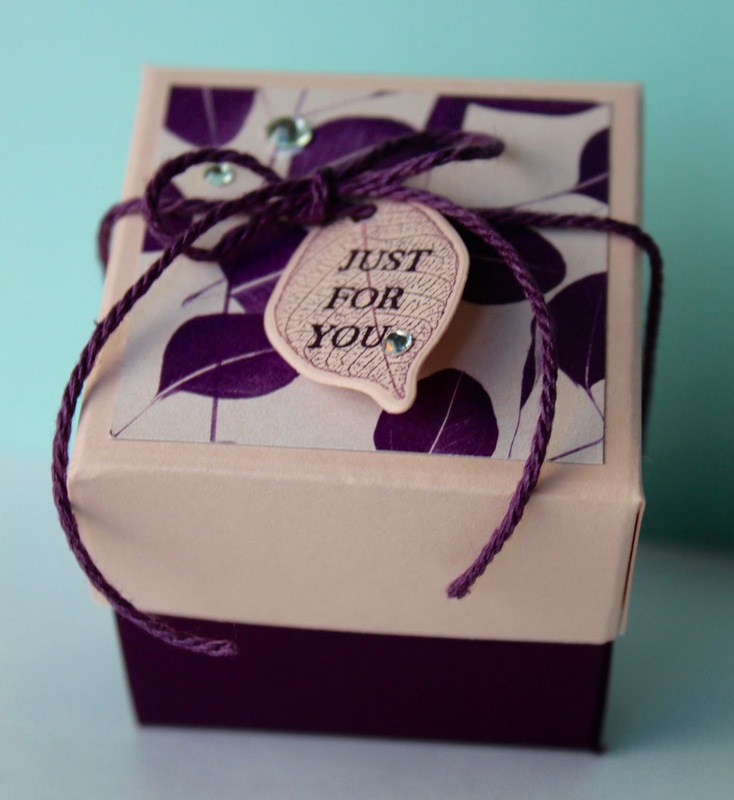 I used a 6" x 6" Blackberry Bliss cardstock base for the box, and a 4 1/16" square Petal Pink base for the lid. I added a piece of DSP for the top and tied coordinating Baker's twine around and in a bow on the top - with a simple 'leaf' tag! Of course, some Rhinestone Jewels help to coordinate it with the card! 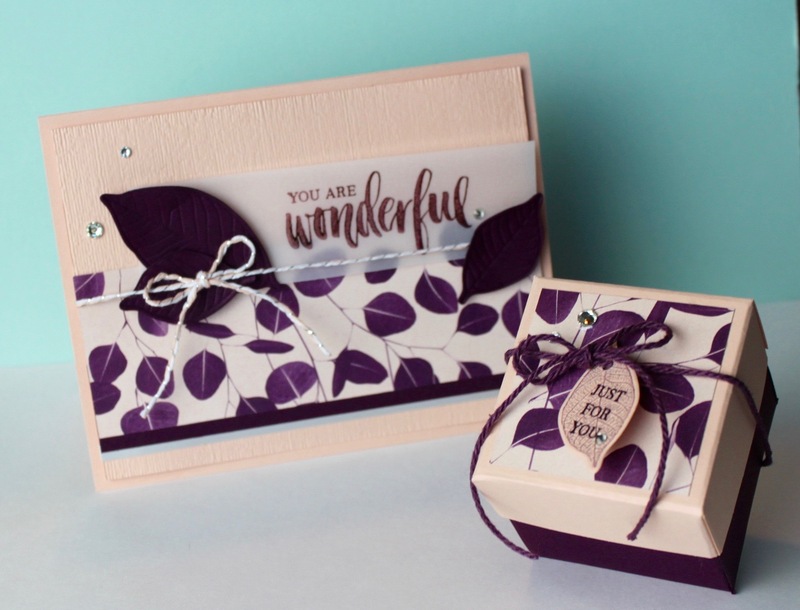 I hope you enjoyed your stop here - and you'll be WOWed to hop on over and see what the fabulous Elizabeth Price has created this month! These are beautiful! You are right, the silver does bring it all together! Just lovely Julie! The Subtle embossing folder makes a great background for your card without adding lots of detail. 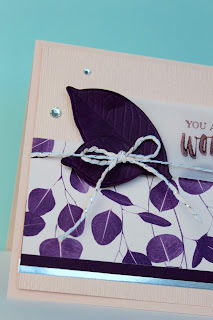 I think your blackberry bliss embossed leaves are the coolest! It all looks so rich and soft with the petal pink. These are so gorgeous! The silver is nice indeed, everything is so soft and elegant! Tfs!